While you relax and flip over the menu, your hand will unconsciously reach out to the bowl and before you know it you are munching on these sour onions. Your mouth will pucker, you will also squeeze one of your eyes shut trying to adjust to the sudden burst of taste and flavor:) And there will be refills when you are done with a bowl. I mentioned that these are served in the restaurants in the northern India. That might not be entirely true. They might be served in the other regions too, only I do not know about it. I do not have many memories of restaurants in any place else. I am not sure if pickled onions are true to Indian roots or remnants of the British culture in India or if the concept has been transported back to England from India. Onions pickled in vinegar and salt in a similar fashion are served with the fish and chips and also the Ploughnam’s Lunch in UK. My little T loves to peel off the little onions and bring out the tiniest bulb from inside. She “skins” the onions as she says it, to get the babies out! Last year when we were back home, the girls got pretty excited when they encountered these. 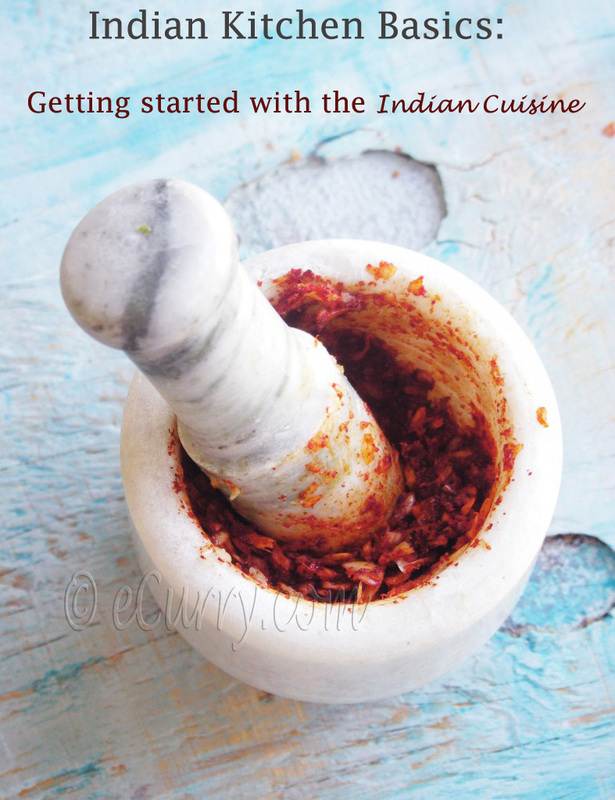 I usually make these at home with large onions chopped in chunks when we eat something rich and spicy or the typical Chicken Tikka, Butter Chicken, Biryani, Koftas or any kind of rich and spicy curries or any grilled food. But really they are welcome with any Indian meal. 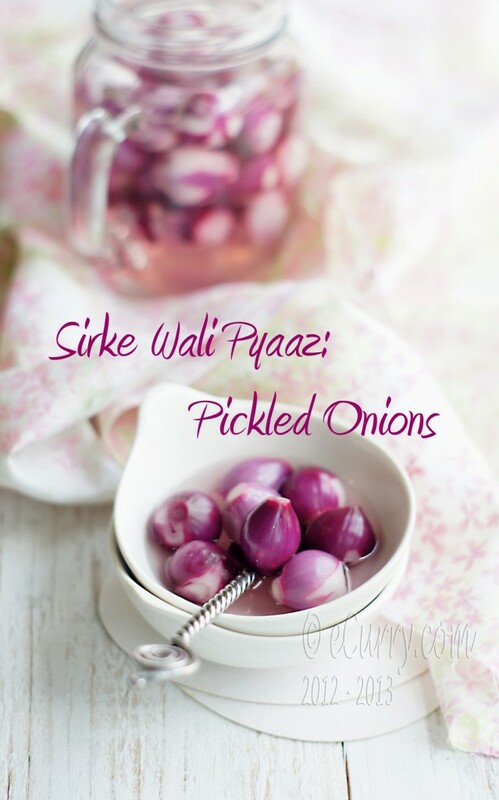 This time we got these lovely pearl onions and pickled them – just “the Indian restaurant way”. The grilling season being on now during summer, a bowlful of these onions are just the right things to have ready at hand. I am aware that the onions are not loved by a lot. But those of you who like some pickled ones with your grilled and spicy food, these are just the perfect ones – a little tart and much mellowed soaking for long in the vinegar. Note: I have known some recipe where beetroot is simmered with water. The water is then strained and cooled completely. 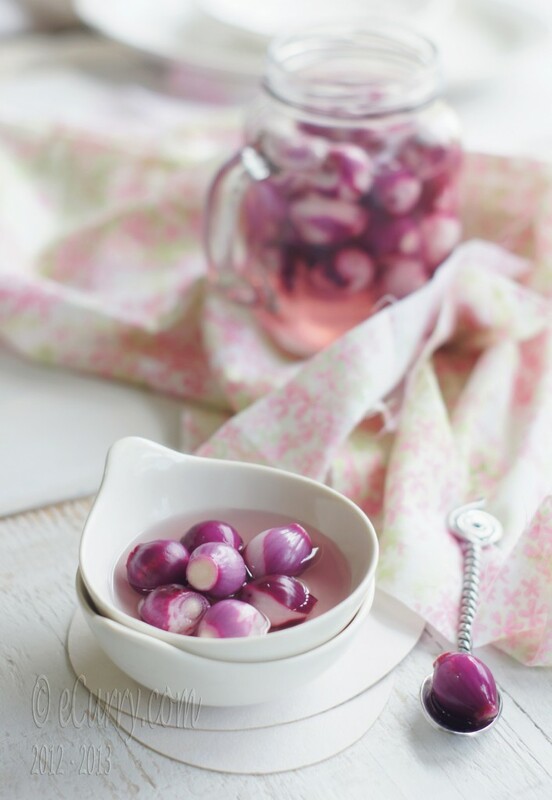 The reason is to impart the pink color to the onions as they look that way in the restaurants. I have never done this as I have always used red onions and never felt the need to make them look otherwise. This particular process does not change the taste of the onions, only the way it looks. 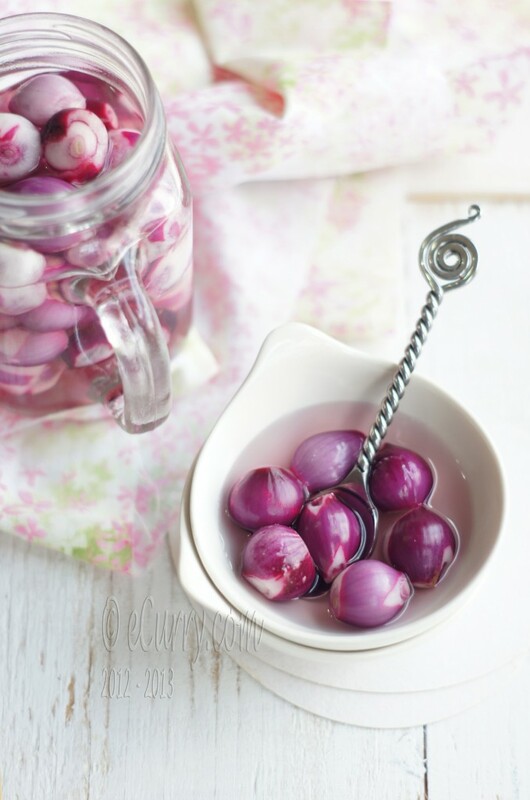 40 pearl onions, peeled (shallots or large red onions may be pickled too if they are peeled and cut in desired size) – Please do not use frozen onions for this pickle. It will be disaster. The frozen ones have no crunch left to them and smell too stale for this pickle. Slice off the ends of each onion. Peel them completely. Place peeled onions in a non reactive jar or a bowl. Add salt and sugar to water and stir them in as they completely dissolve. Mix water with vinegar. Adjust salt. Pour over the onions in the jar/bowl. The onions should be completely covered and have the liquid come up half an inch above the level of the onions. The longer they soak the deeper the color of the liquid gets (if you are using the red pearl onions and the texture of the onions change too. They absorb more flavor and will get less crunchy. Let them marinate for a few hours (3 hours to 5 hours). Drain and serve. The onions may be kept in the refrigerator for 2 days after they have been drained. 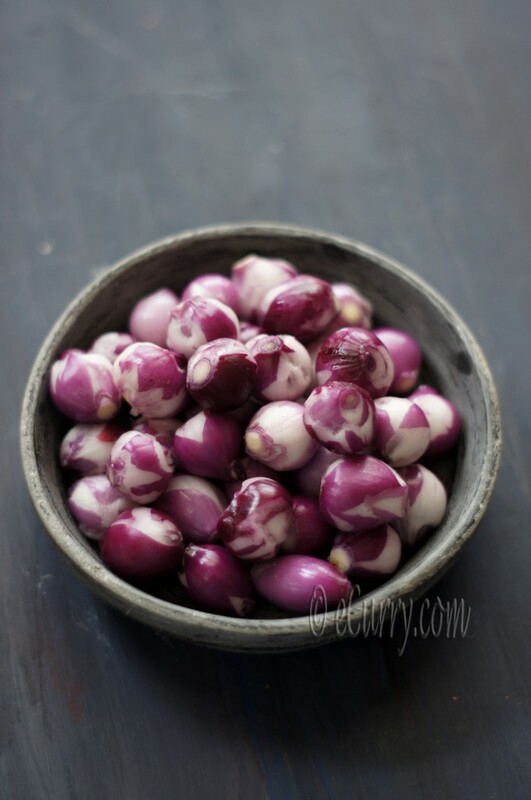 These look wonderful, I’ve always wondered what to do with those little onions, and now I know! I so love these onions from the restaurant. Never really made them, but now that the recipes here, may be I can try it some time for a party. You are so right about these being served in Northen Indian restaurants. and yes many of them do use beetroot for color. After placing the order in a restaurant, we (mom and me ) use to attack on these sirke wale pyaaz and papads along with our starters…and you have a great helper (T) who loves taking out the skin from onions. 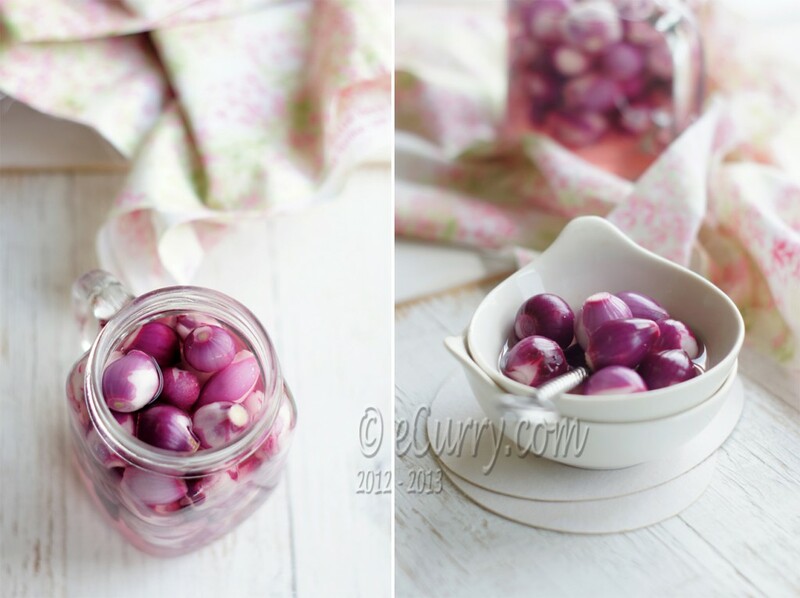 had these pickled onions in restaurants, but never tried making at home :-)thanks for sharing the recipe !!! !your pics are absolutely gorgeous !!! !loved ur presentation too !!!!! I love this. Chobi gulo darun. 40 ta pyaaj ke charalo ? Oi bhoi te ar kori na eta ! We eat raw chopped onions with our steak all the time. I think I will have to try to make your version. They look sooogood! 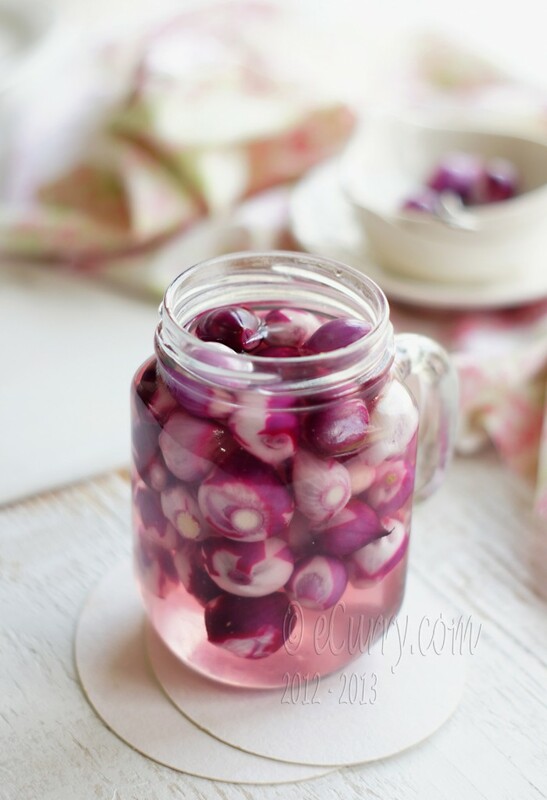 i love the pickled onions! i havent seen them in restaurants in a while. 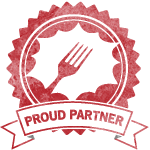 only a few restuarants have these. We launched http://www.veganchutney.com/ a photo gallery of Indian Vegan food. 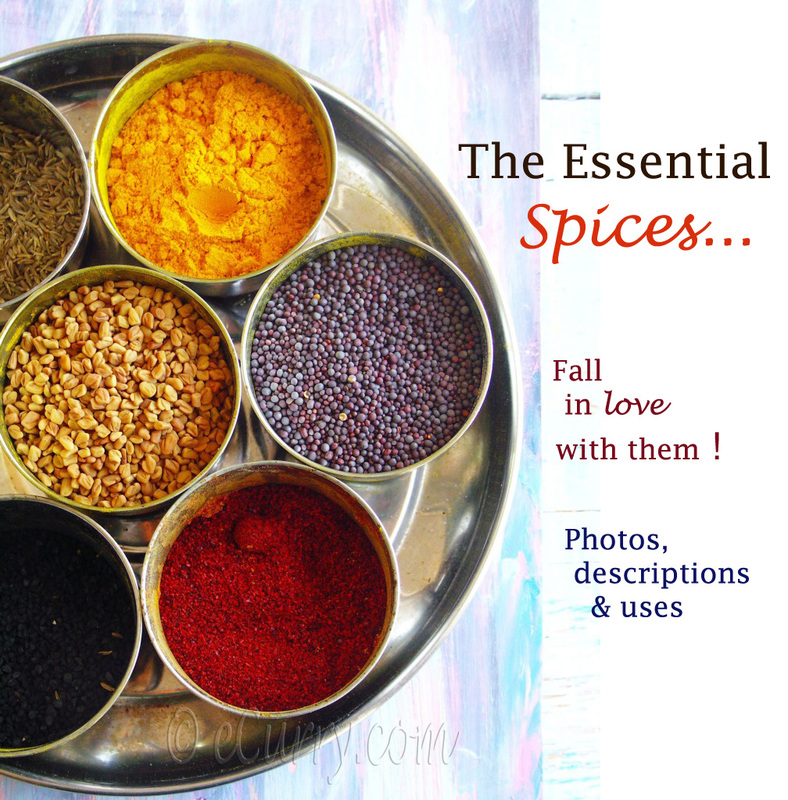 Please do drop by to submit your indian and vegan recipes! Its difficult to find specific diet recipes and hopefully this gallery will help. Thanks! Oh they look amazing. I need to find those cute little onions here in Mexico. wow your pictures are SO pretty always! I love condiments like these it makes such a difference to the meal 🙂 I think I can just eat these plain Thanks for posting! Hi There, Wow…this recipe is looking Wonderful and I’m loving it so much. Today I was out of ideas and was wandering what to make. Got the answer now…! I can’t wait to try it on my island. Have a wonderful week ahead. Thanks & Regards, Sonia !!! Yummy!! We have them in Indonesia too. OOh I love these little onions that we always get served in the Indian restaurants! HA! I never thought of making them at home though and just reserved the pleasure for eating out. But I think I will give this a go. Brilliant Photography Soma. Lovely presentation, very neat. You’ll convert a non lover of onions to a lover! loved the colors as well the presentation…. neat and pretty… i cannot stop admiring your photos. 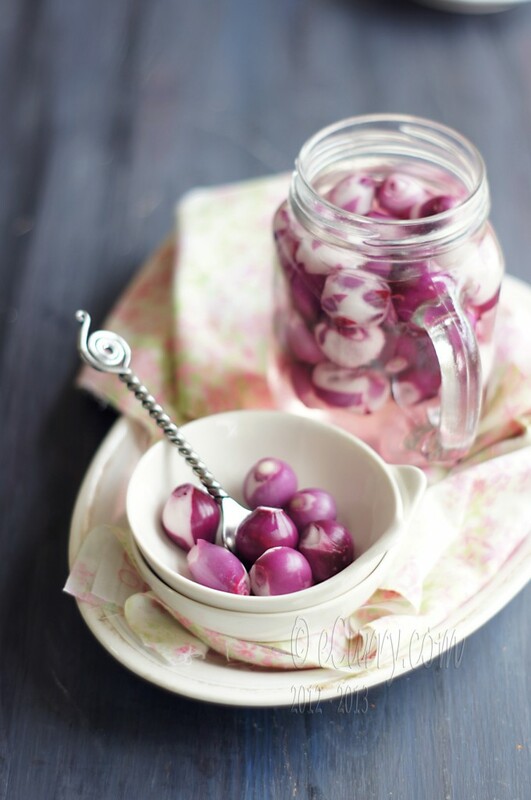 these pickled onions are a hit at our place. they also serve pickled onions in north indian restaurants in mumbai as well as pune. 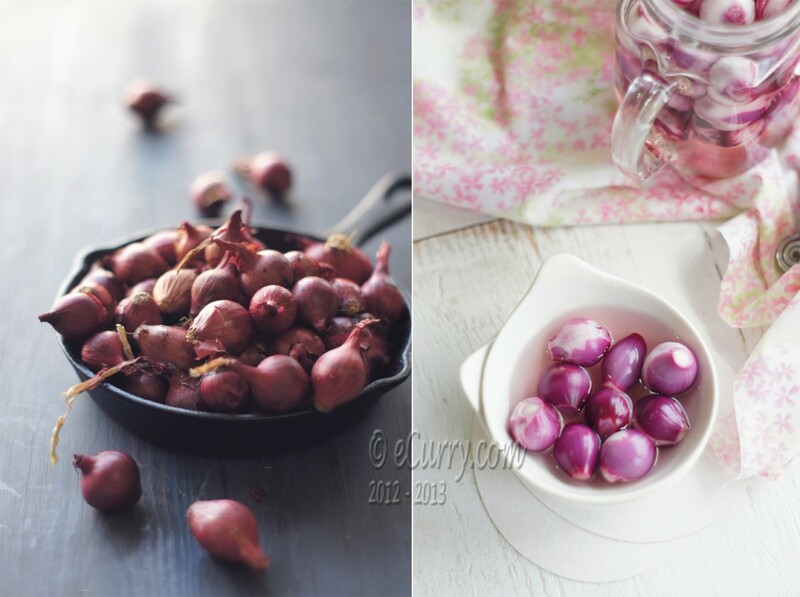 I love the colors of these onions Soma and I love your styling and photographs. Just beautiful! I’ve never seen any onions so small except for the white ones but I would love to try this! This is amazing, I love eating pickled onions at restaurants whenever I go back to Bombay. Thank you so much for the recipe, I’m going to try to find baby red onions here in Stockholm! Thank u for this recipe. I’ve never been to India but love Indian food! Am English but live in Canada. I grew up with pickled onions and think English pickled onions superior to any produced in North America. Will look for these next time I’m in an Indian restaurant. I should have added that I make pickled onions too. I’ve never come across the small red onions but can buy the small white onions. I made a batch a couple of days ago. A lot of prep work, but the end result is worth it. These will keep for a year easily. 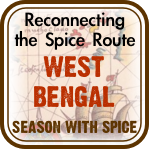 I’ve never thought to serve them as a complement to Indian food, which I make all the time. Something else we like is just regular white onion, cut into thick rings or sliced, and let them sit in a malt/white vinegar mixture for a couple of hours. Lovely to use in a cheese and onion sandwich! English cucumbers can be treated the same way too. 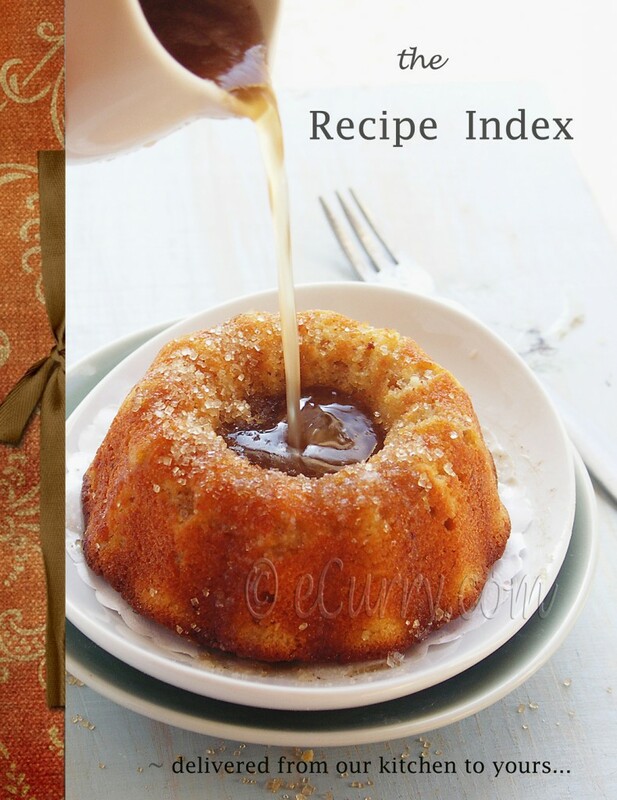 I have tried this recipes was awesome and very tasty. In ever had this kind of snacks in my life. Soma, I do want to try this for sure, but what about leftovers? Can we store them into water mixture in fridge and use as needed? Or it has no shelf life? Grishma, we usually never have used this for more than a day. Yes remove from vinegar after the required marinating and store them in water or amy be very very diluted vinegar. They soften as they soak so they do not taste as good and crunchy after a while. Hi lovely picture….when we see really tempts to eat ….true one who does not like it also will hv it when he see’s d pictures …..good job grt going ,All d best for ur future…..